Maria Woodworth–Etter's ministry is often called the most powerful of the modern era. As God used this yielded vessel, many dramatic healings of the incurably sick occurred. 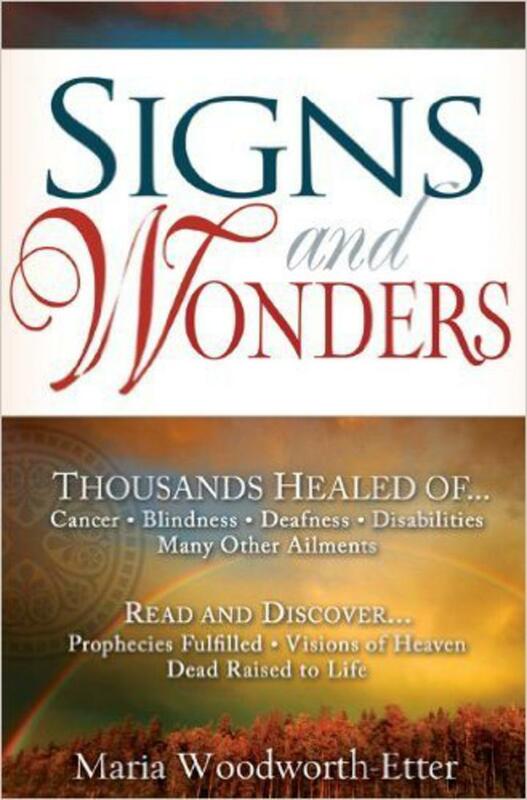 Discover how God is willing and able to reveal Himself in the lives of believers today. Both she and her audiences reported many visions they had of heaven, angels, the New Jerusalem, and of forthcoming events including earthquakes and wars that subsequently occurred. Hundreds of thousands were saved through her ministry. On many occasions she received supernatural protection against murderous enemies. 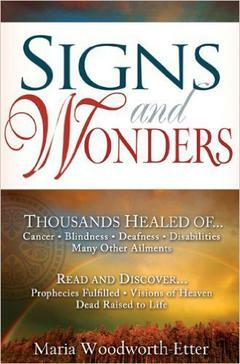 Discover how God is willing and able to reveal Himself through Signs and Wonders in the lives of believers today.